One might assume that the score for The Incredible Hulk would be all brawn and no brains. Thankfully, this is far from the case. Armstrong wisely tones back on brute force, and focuses more on developing intelligent themes for the characters of the film. In fact, one of the most fascinating aspects of the soundtrack is that, despite the temptation to give all the attention to the protagonist’s monstrous alter ego, Armstrong incorporates a theme for both sides of Bruce Banner’s personality: the human and the not-so human. Harlem Brawl gets the album off to a short but memorable start, and leads into The Arctic, a magnificent piece which alternately conveys the anguish, fear, and desperation of Banner as he tirelessly searches to find a cure for his “condition”. Favela Escape is one of the most terrific chase compositions ever written for a superhero film, utilizing a thrilling combination of strings, percussion, and brass. The love theme, Bruce and Betty, is poignant and reflective, while Give Him Everything You’ve Got and That Is The Target stand in stark contrast as propulsive pieces of action music. 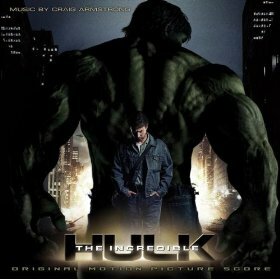 Hulk Theme is the final track, bringing everything to an enjoyable (and slightly bizarre) close. Buy the MP3 album from Amazon.com. From John William’s score for Saving Private Ryan. One of the most haunting pieces of music you’re ever likely to hear, and a stirring tribute to the brave men who have fought, bled, and died in the service of our country. “What marvelous grace is here! “What a delightful and astonishing thought it is – that such poor, vile, rebellious creatures – should be precious to the infinite, holy, and eternal Jehovah! “That He should call us His precious children! “Alas, Babylon.” Those momentous words heralded the end. When a nuclear holocaust wreaks devastation on the U.S., a thousand years of civilization are stripped away in a day, and millions upon millions of people are slaughtered instantly. But for Randy Bragg and others in a small Florida town miraculously spared, the struggle is just beginning, as men and women of all types band together to confront this new world. Originally written in 1959, Pat Frank’s classic novel is one of the few in its genre to actually take the nuclear-apocalypse scenario seriously. 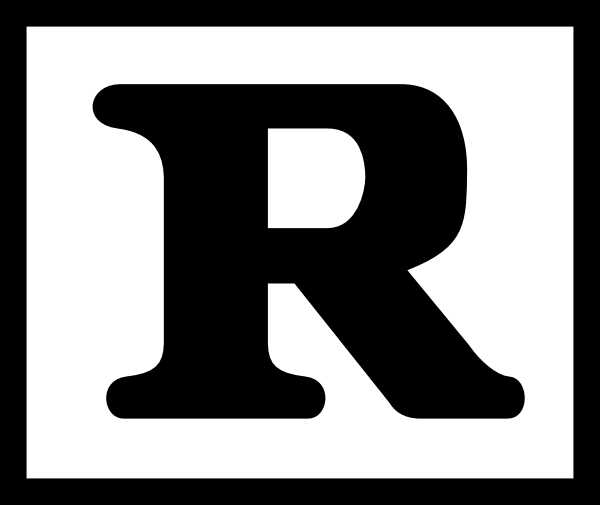 At one level, it is highly specific to the time at which it was written (i.e. the early years of the Cold War), and yet it’s age does nothing to detract from its potency and charm. The characters of this story are exceptionally well-conceived and easily relatable: they are neither brilliant scientists nor super-soldiers; they’re only human beings, doggedly trying to survive from day to day. Sometimes they mess up, sometimes they get hurt, even killed. They are ordinary people facing extraordinary odds. Though spared a direct hit, these characters – the citizens of Fort Repose, FL – must still deal with the consequences of nearby blasts. There is no more running water or electricity. Fuel is scarce and soon disappears entirely, making automobiles virtually useless. Much of the available food is contaminated, and all water must be boiled before it is drunk. Disease strikes with a heavy hand due to the lack of necessary medicines. Weapons and ammunition are hoarded as precious commodities. Radiation poisoning is a constant threat. The suicide rate climbs dramatically, and in the absence of any unified law force, roving bands of marauders kill and steal with reckless enthusiasm. It’s a dark world, certainly, but not without hope. Randy Bragg and his neighbors demonstrate great courage and resourcefulness as they learn to improvise, substituting what they have for things we typically take for granted in our everyday lives. 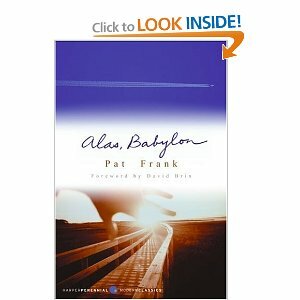 Alas, Babylon is not perfect, and Frank is certainly not writing from a Christian point of view. Nevertheless, it is an excellent and worthwhile piece of survivalist fiction. It comes highly recommended by me, with the caveat that it is only appropriate for very mature readers, due to some language, violence, and occasional suggestive content.